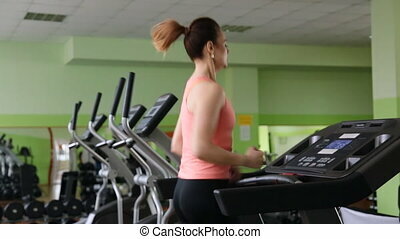 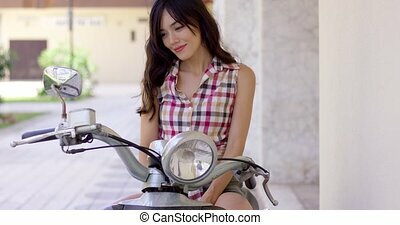 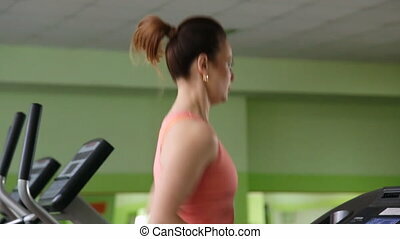 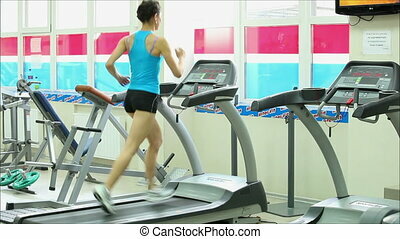 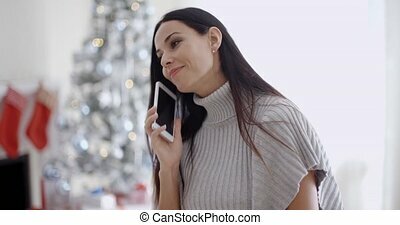 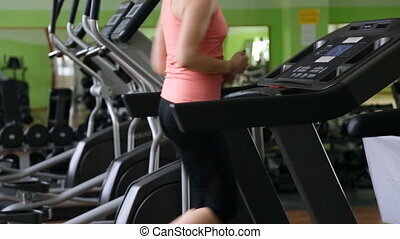 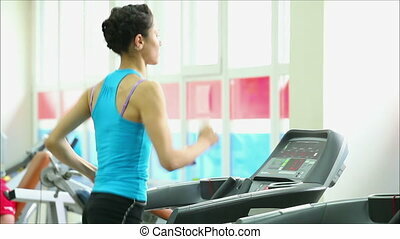 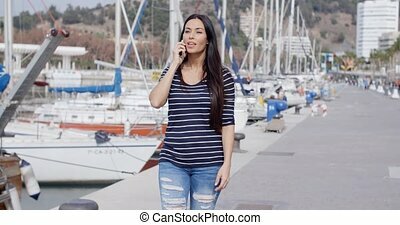 Attractive young woman chatting on a mobile. 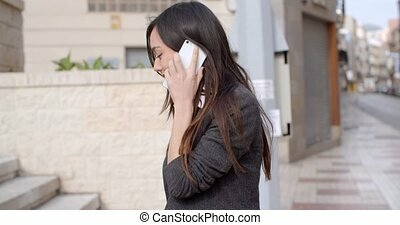 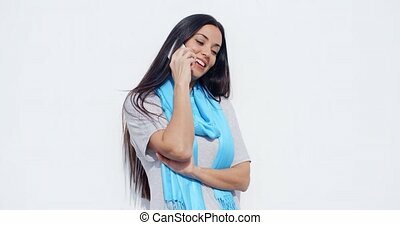 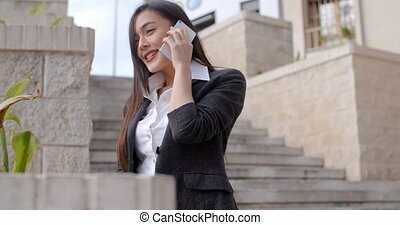 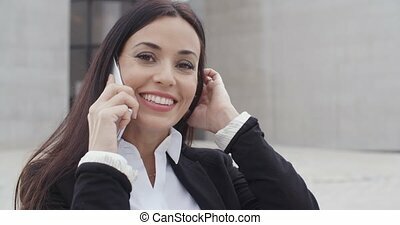 Attractive young woman standing in an urban square chatting on a mobile phone with a beaming smile of pleasure close up upper body view. 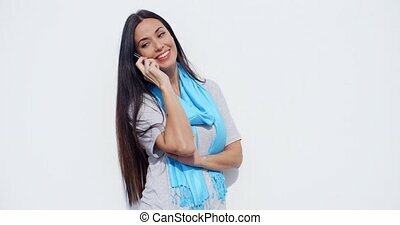 Young attractive woman sitting on a pillow and chatting on phone. 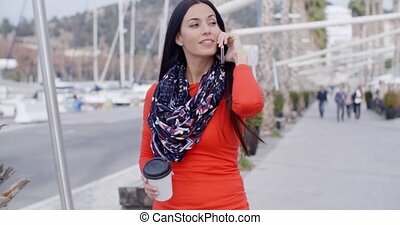 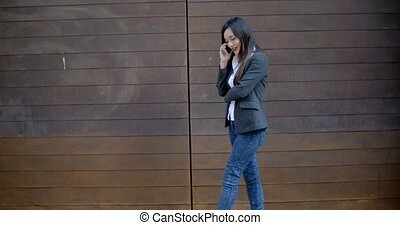 Pretty chic young woman standing on an urban promenade chatting on a mobile phone with a cup of takeaway coffee in her hand three quarter side view.